April is Daffodil month for the Canadian Cancer Society. 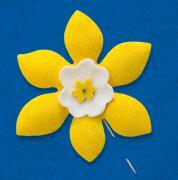 Please buy and wear the Daffodil which helps fund their research, support and advocacy programs. 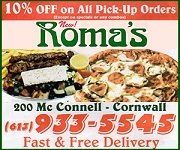 Call 613- 932-1283 in Cornwall for more information. probably be grateful for volunteers also. 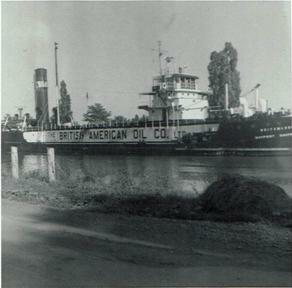 Here is an old photo from the family album of the British- American Oil Company tanker which seems to be travelling here through our Cornwall canal. Date unknown. The BA was founded in 1906 in Toronto by Albert Leroy Ellsworth. Remember the musicals of the 50’s? I heard a few old songs lately and thought about all the fun we had watching the movies and listening to so many great songs. The list is extensive according to a web site. Remember : Singing in the Rain, The King and I, Gentlemen Prefer Blondes ( according to Marilyn Monroe), Calamity Jane, Brigadoon, Show Boat, Damn Yankees, South Pacific, Oklahoma, Annie Get Your Gun, A Star is Born, Guys and dolls, Carousel, Hans Christian Andersen, Seven Brides for Seven Brothers, to mention only a few. Singers and dancers such as: Doris Day, Gordon McRae, Judy Garland, Gene Kelly, Cyd Carisse, Fred Astaire, Van Johnson, Jane Powell, Ricardo Montalban, Mario Lanza, Gene Nelson, Dan Dailey, Fernando Lamas, Danny Kaye, Ester Williams and Howard Keel. We loved the Glenn Miller story with Jimmie Stewart and June Allyson. When we came out of the shows we were still singing one of the songs. It was great. And who can forget Elvis in the movie “Jailhouse Rock”??? Those were the days. could use a few more wonderful musicals and also comedies, for sure. A recent newsletter from the Alzheimer Society of Ontario states that in the next five minutes another Canadian will be diagnosed with dementia and if the current trends continue, Alzheimer’s threatens to devastate countless more families and bankrupt our healthcare system. However the newsletter also states that we can do something to make a difference by donating today. It says that donations will help develop and sustain programs and services that enhance the quality of life of those affected by the disease and other dementia as well and fund new research that will bring us closer to a future without dementia. or substituting words that don’t fit the context. knowing what day it is or getting lost in a familiar place. strange places like a dress in the fridge or a watch in a sugar bowl. of character, becoming confused, suspicious or fearful. in friends, family and favourite activities. -932-4914 or visit their office at 106 Second Street West. It is hard to know what to watch on TV these days with all the sports. Curling, the Special Olympics, football, golf, basketball, hockey, soccer, skating, skiing, snowboarding and baseball. The Jays had their opening game lately and it is ‘Play Ball’ from now on. highest paid of our athletes, it seems. Good sponsors, I guess. 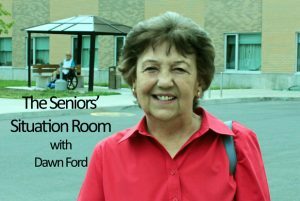 Some seniors were asking if we were going to have an Armchair/Wheelchair Tai Chi class again. We had one some time ago but we would need a new instructor. If anyone knows a trained teacher in this form of Tai Chi, please let us know. 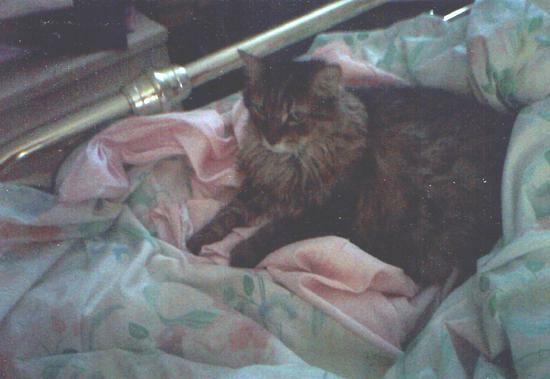 Here is that Tiger cat on my housecoat again. I can’t leave it for one second on the bed or he pounces on it right away and doses off. My housecoats are’ wash and wear’, then a Tiger’s bed, then wash and wear again. What a big baby!! Anyone want a cat??? Cheap!! The horse replies, “Sure was!! Man, have I got a problem. I won the Kentucky Derby a few years ago and this farmer bought me and now all I do is pull a plough and I am sick of it. runs to the house and finds the old rancher sitting on the porch. John tells the farmer,” Hey, man.